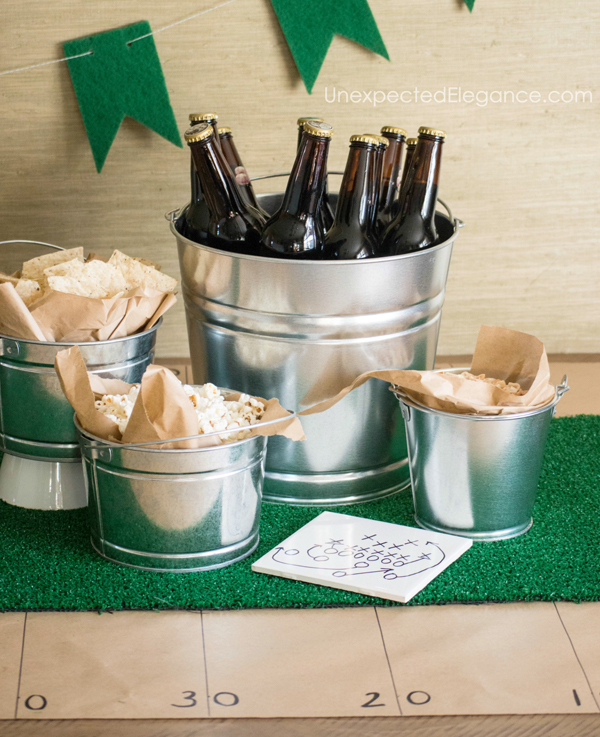 Today is another quick decor tutorial for your Super Bowl party. 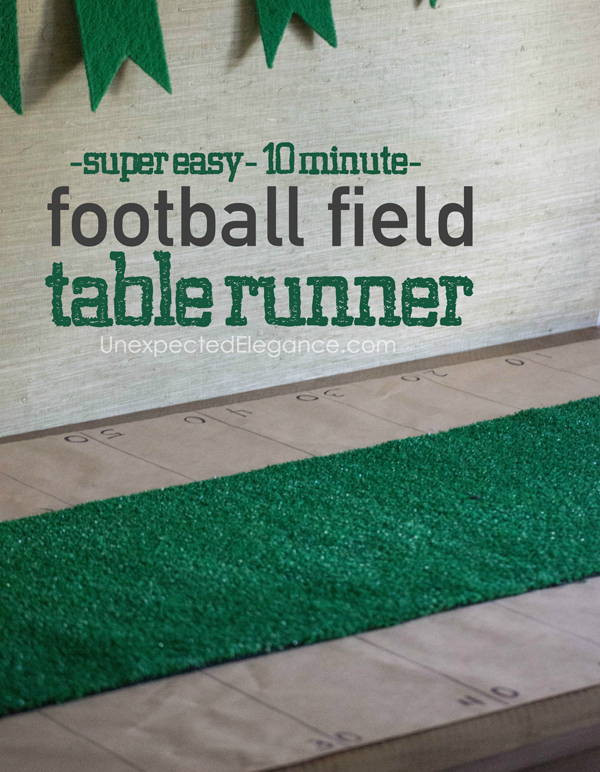 A football field table runner is not some new idea that I came up with, but I wanted to show you how you can easy (in less than 10 minutes) create one. All you need in a roll of brown craft paper, black permenant marker, and a square (the bigger the better!). You can get the brown paper roll at the hardware store or even at a grocery store. Butcher paper or shipping paper can be found at most grocery stores. I use this paper for just about every party I have…see where I get the best deal for it HERE. 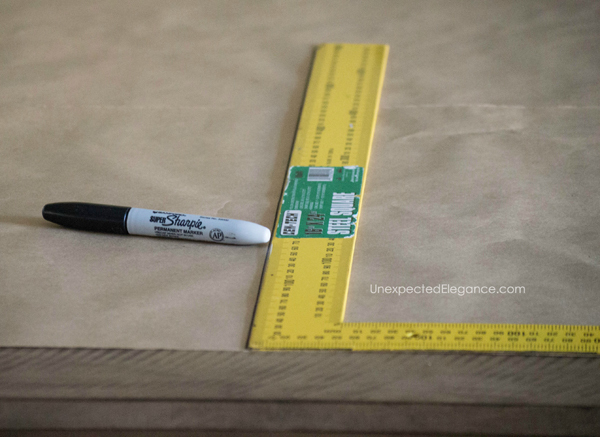 Roll out the paper the length of the table, then cut it off. Use the square to make a line down the center (this doesn’t have to be exact). Be sure the square is “square” with the edge of the paper. Add 4 more lines in both directions. I have a 6 foot table and spaced each line out about 6 inches. 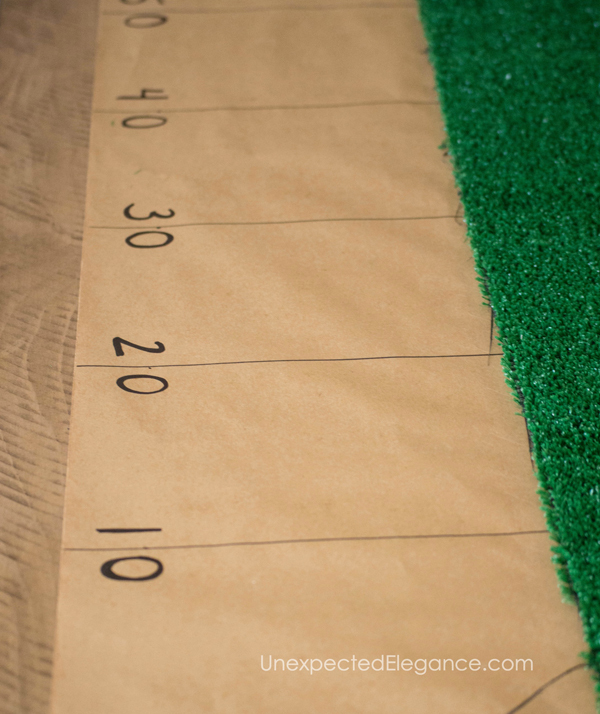 Then add the numbers: 50 in the middle and 40, 30, 20, 10 on either side. 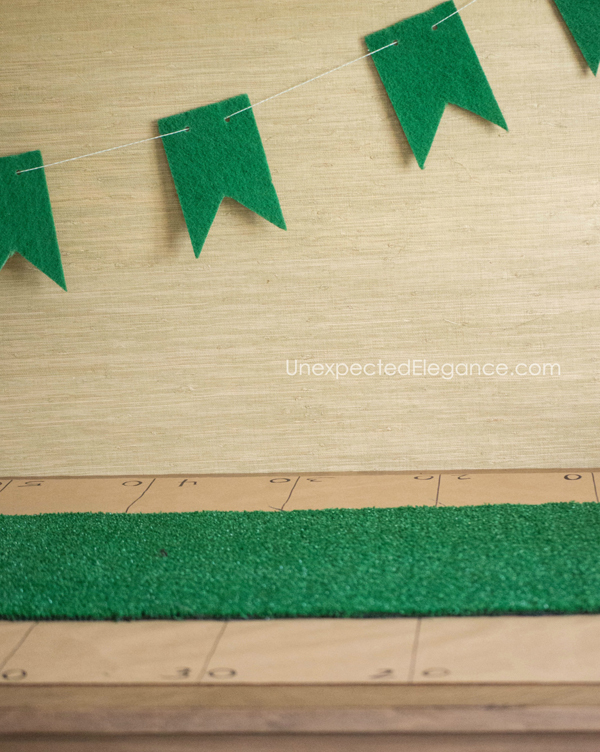 For some added texture, I bought a yard of artificial turf from the hardware for around $4.